THERE was a strong showing from the region’s female athletes in the opening Frank Elford Sports Westward Cross Country League meet at Plymouth’s Central Park. City of Plymouth’s Poppy Tank was first senior women home in a time of 19 minutes and 58 seconds. Second was Tavistock’s Tess Masselink in 20.09, while Tank’s City of Plymouth team-mate Hannah Blair was third in 20.26. 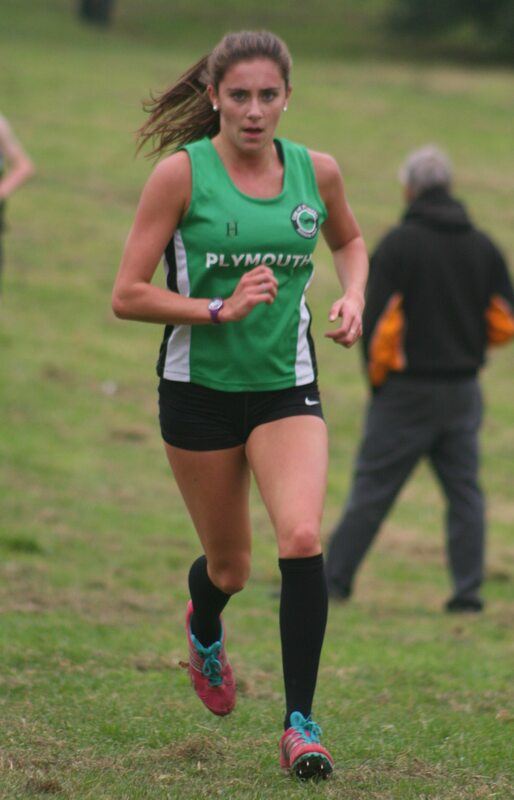 Erme Valley Harriers’ Cleo Perry was fourth senior to finish and first over-40 in 20.53, while Plymouth Harriers’ Ami Yetton came seventh in 21.11. City of Plymouth were first team home, while Tavistock were third. However, all the senior women were beaten by Cornwall AC’s star under-17 athlete Yoyo Barnsley, who clocked 19.29 to finish nearly two minutes ahead of the next athlete in her age group. Tavistock’s Victoria Moore was fourth under-17. There was a good run by City of Plymouth’s Elena Sidman in the under-15 girls’ race. She came second in a time of 12.23 minutes behind Cornwall AC’s Grace Brock, who crossed the line first in 11.55. Tavistock’s Natasha Farrington claimed a top five finish in this age group with 12.54. Farrington’s team-mate Tilly McDowell claimed fourth in the under-13 girls’ race – an event won by North Devon’s Eliza Banbury in 9.57. Erme Valley Harriers’ Olivia Travers came eighth. In the under-11 girls’ race there were top five finishes for Tavistock’s Kristyna Cade and Erme Valley’s Ella Isaias. Cade came fourth in 6.53 and Isaias fifth in 6.56. 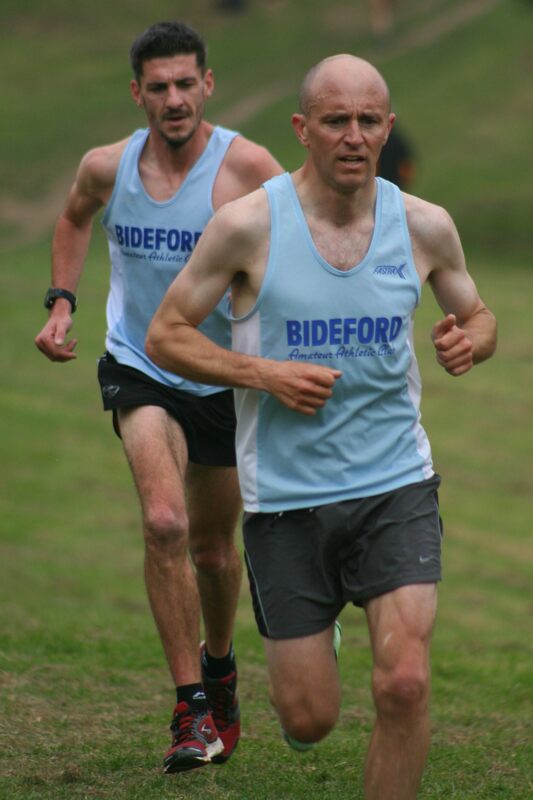 The men’s race was dominated by Bideford AC, who came two of the top three finishers. Mark Jenkins won in 28.35, with his Bideford team-mate Aaron Richmond third. The two were separated by Taunton’s Phil Burdon, who took second in 29.01. Tamar Trotter’s Mike Wilsmore was the top finisher from this region, coming seventh in 29.49. The under-17s boys’ race was won by Newquay and Par’s Aiden Kent, who clocked 18.23 to finish 13 seconds in front of Cornwall AC’s Tom Slattery in second. Newquay also won the under-15 and under-13 boys’ races, with Fin Birnie taking the older age victory and Bradley McLellon triumphing in the later age group. Tavistock’s Oliver Woodmason claimed fifth in the under-13 boys’ race. Cornwall AC’s Zak Clemens triumphed in the under-11 boys’ event, but, in a joint race with the girls, he was pushed hard by team-mate Maisy Luke, who finished just six seconds behind to come second overall and first girl. The next race in the six-meet series is at Newquay on November 8. Meanwhile, Central Park will host the first Armada Network Winter 3k Series race on Wednesday. The run starts at 7pm but registration must be complete by 6.30pm. The timed run is open for anyone over the age of 11.